The 28-year-old man, Rizwan Asad, died in police custody late on Monday, his family confirmed on Tuesday. The young teacher was a chemistry graduate who taught at a private school, his family said. Protesters threw stones at police in several parts of the region following news of the man’s death, with shops shutting in parts of the main city of Srinagar. Police responded with tear gas. The government also shut down the Islamic University in Awantipora where Asad was a guest lecturer. 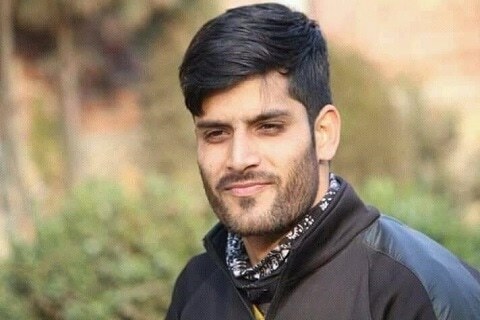 Rizwan, an Awantipora resident in the Pulwama district, south Kashmir, was reportedly arrested last week by the National Investigative Agency of India as part of a crackdown on socio-political and religious organisation Jamaat-i-Islami (JI) Kashmir, which was banned in February. Since his arrest, Asad had been kept at the dreaded anti-insurgency Special Operations Group (SOG) headquarter of the police, called Cargo, in Srinagar. “We have requested for magisterial inquiry under 176 CrPc (Criminal Procedure Code) to initiate a thorough probe to ascertain the actual cause of death,” SP Pani, inspector general of police in Kashmir, told local media. Police have not yet filed a murder case into the teacher’s death. Last year, Asad was imprisoned under the Public Safety Act, which allows any person to be imprisoned for up to two years without a trial. The court, however, ordered him to be set free. “There have been several thousand custodial killings and custodial disappearances by Indian forces in Kashmir. None of them have received any justice; it is because of the complete lack of accountability and total lawlessness that Rizwan could be killed in custody last night,” Khurram Parvez, a top Kashmiri human rights activist, told Anadolu Agency. “Punishment must be handed out to the killers of this young man,” said Omar Abdullah, a former chief minister of the state, on Twitter. “Innocent men hauled up from their homes for interrogation return home only in coffins now. GoI’s repressive approach leaves young educated men vulnerable who are forced to take up arms. Stop using Kashmir to exhibit your sick chauvinistic nationalism. We have suffered enough,” she tweeted.